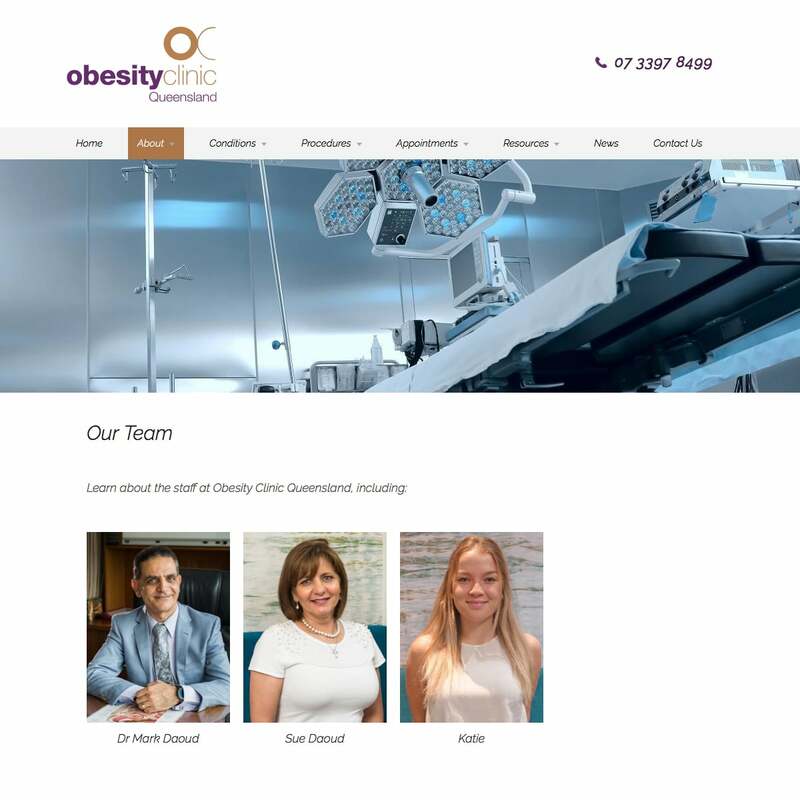 Dr Mark Daoud is a General, Bariatric and Endocrine Surgeon. 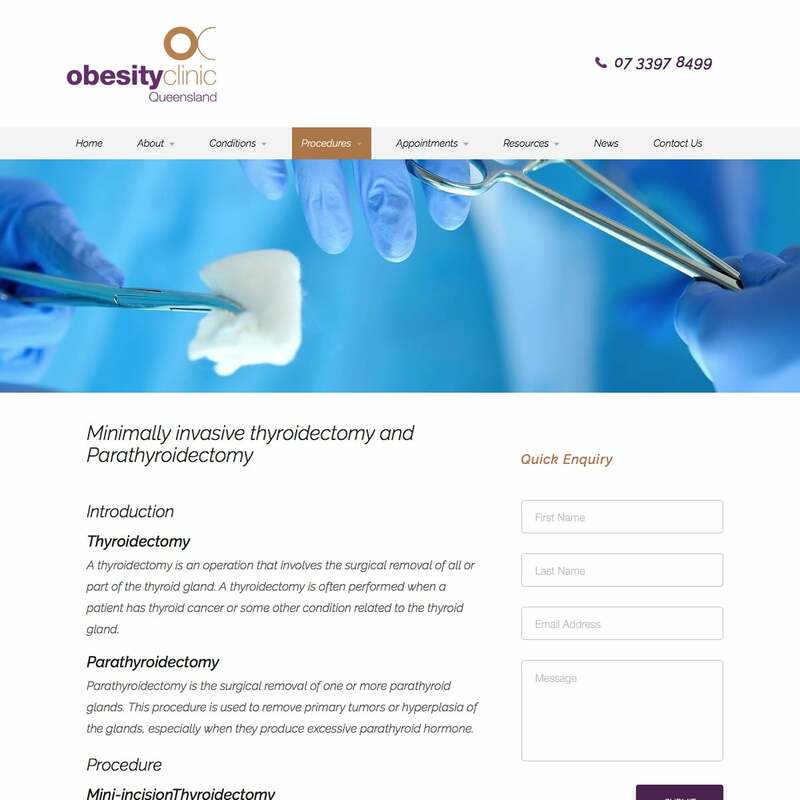 The client comissioned Online Medical to entirely refresh OCQ's existing online presence. Thankfully the existing logo and brand colours were good and presented a solid basis for the design. 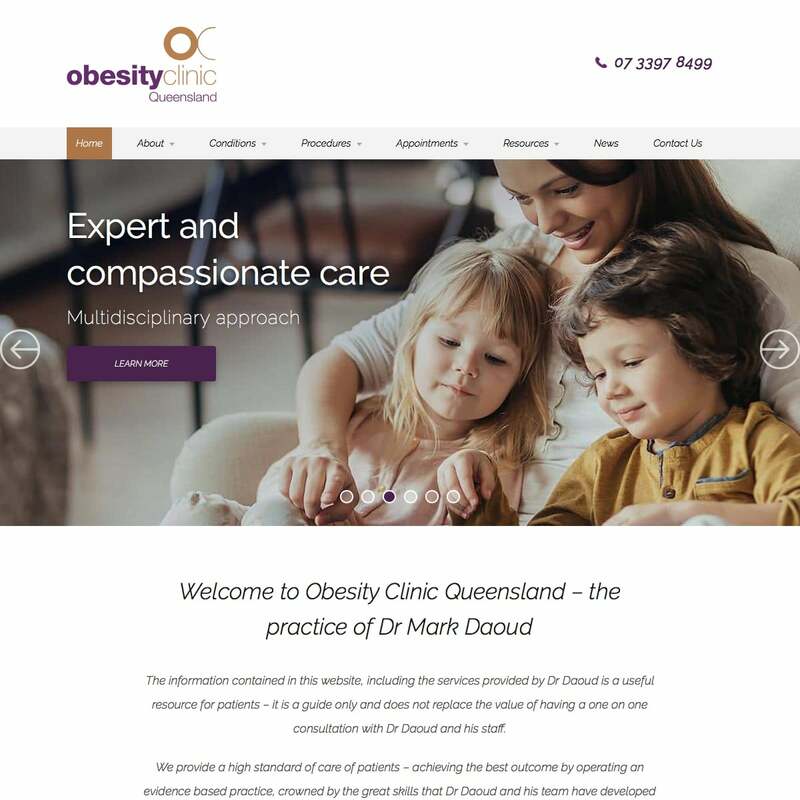 After consultation with the client, we decided to align the Obesity Clinic Brand and use the ocq.com.au domain. This was an improvement on the previous strategy. We then did in-depth planning around both the information and navigation structure requred. The information architecture was fairly novel, with category shceme based upon the main areas of expertise (as the doctor's skills are wide-ranging). We also spent condierable time defining the core messages the client wanted to convey to patients. Once the information achitecture was solved and content creation underway, we concentrated on developing a design that was a modern interpretation of the brand. This involved the use of light airy typography and considered use of the ochre and violet scheme. As violet is such a strong colour we reserved the use of this to important elements only (eg: buttons) to draw the eye. We also developed custom iconography. Appropriate photographic banner selection combined with some retouching allowed us to use sutiable colouration to complement the colour scheme. The use of whitespace and typography offers a modern, professional feel. 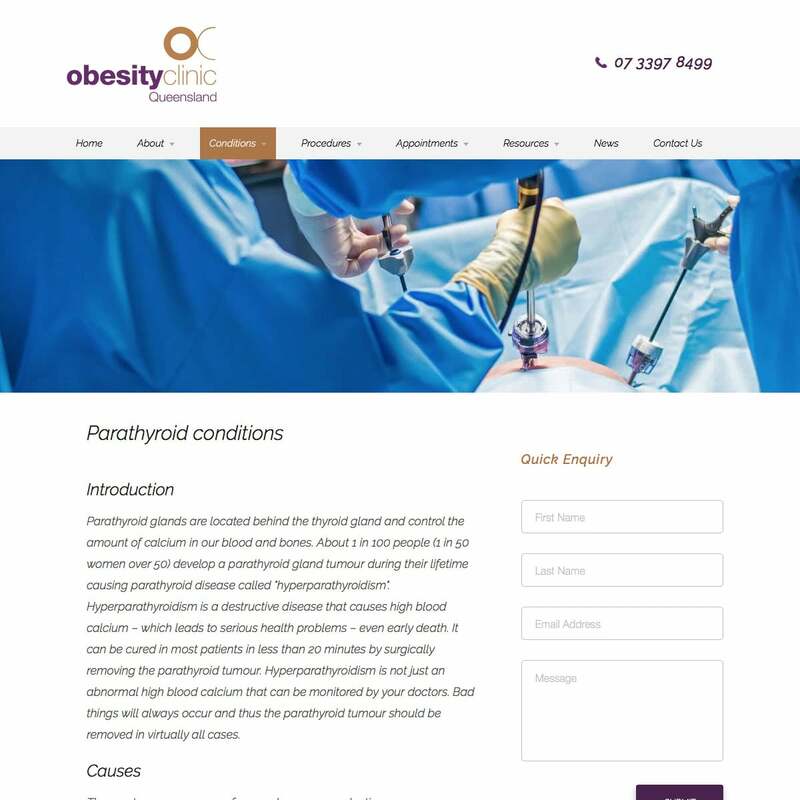 The information architecture and navigation scheme is quite effective and allows patients to access information easily. The responsive design layours are well optimised for desktop, tablet and mobile devices. The site included our new adaptive images technology – which allow for optimal banner image file sizes and therfore improved page load speeds. The client was happy with the quality of the website.